For some families, the start of a new school year is incredibly stressful. Students with ADHD struggle to sit still and focus on tasks, and because their brains are wired to need frequent stimulation, boredom sets in quickly. 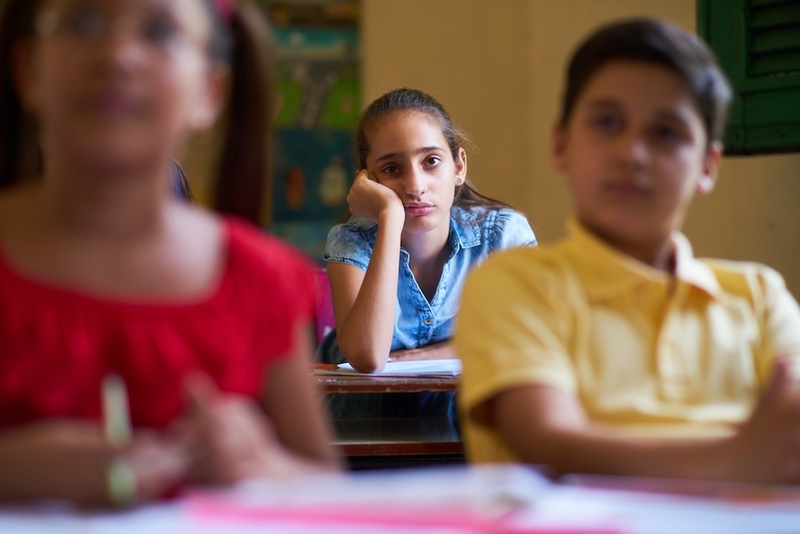 One bored student can disrupt an entire classroom, so keeping these kids engaged is critical to their success – and it's the key to keeping them out of trouble. The recent popularity of fidget spinners frustrated a lot of teachers because these gadgets were too distracting. But the concept of having something to hold and manipulate is a good one for kids with ADHD: it lets them keep their hands or feet engaged, even when the rest of their bodies are being forced to sit still. Together with your child, pick out some small, silent items that he can use without disrupting other kids. Mesh bean bags, squeeze balls, foot bands that attach to chairs - there are tons of options on the market. Older teens might like to wear rings that spin. Check the school policy before investing in fidget devices. All kids need adults to set expectations for them, but children with ADHD can especially benefit from structure and reminders. Together with your child and his teacher, identify a few problem behaviors related to boredom. Does he need to get better about staying in his seat instead of wandering around? Talk about why that behavior is problematic and how he could do things differently. For example, would moving around right before and after doing math worksheets help him better focus on his work? If the teacher is willing, you may even create a daily report card where she can indicate how he did on each behavior that day. Provide incentives at home for days when he gets a good report. For kids with ADHD, everything is a potential distraction – but some settings are worse than others. Your child's teachers might already know not to place him near a door or window or in the middle of the room. If not, make that request yourself. It might also be worth talking to his teachers about letting him use a privacy shield, which is basically just a cardboard divider that limits his view of the room. If the teacher agrees, he can set it up when it's time to do assignments that require focus. Having ADHD makes school frustrating for a lot of kids, but things can always get better. Keeping his boredom at bay could make this your child's most productive and rewarding school year yet!